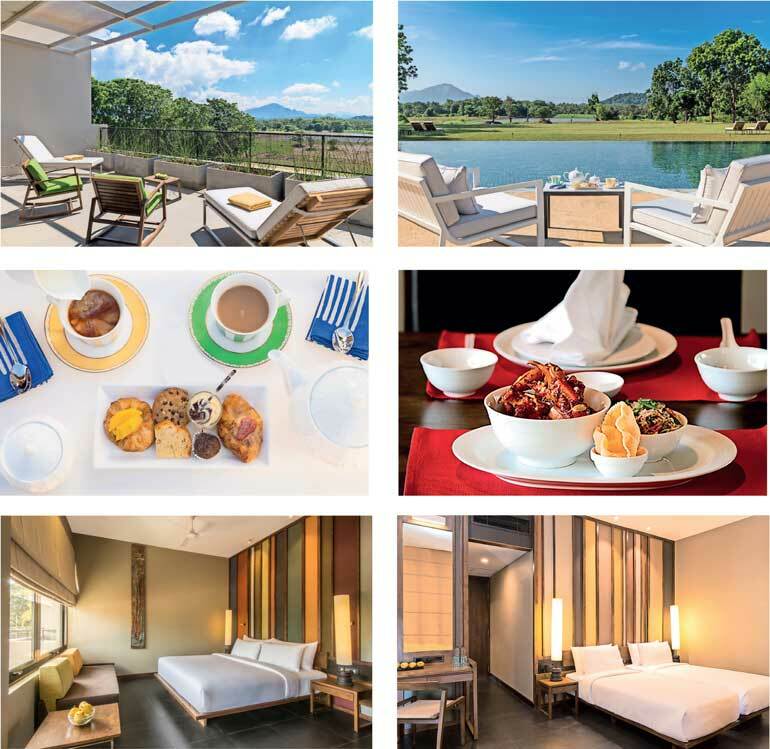 Bringing in an age of true Sri Lankan hospitality to the rich cultural triangle is Jetwing Lake with its contemporary design and modern comforts. Nestled in a rustic setting, the 18 acre property opens out to the best panoramic views of Dambulla. 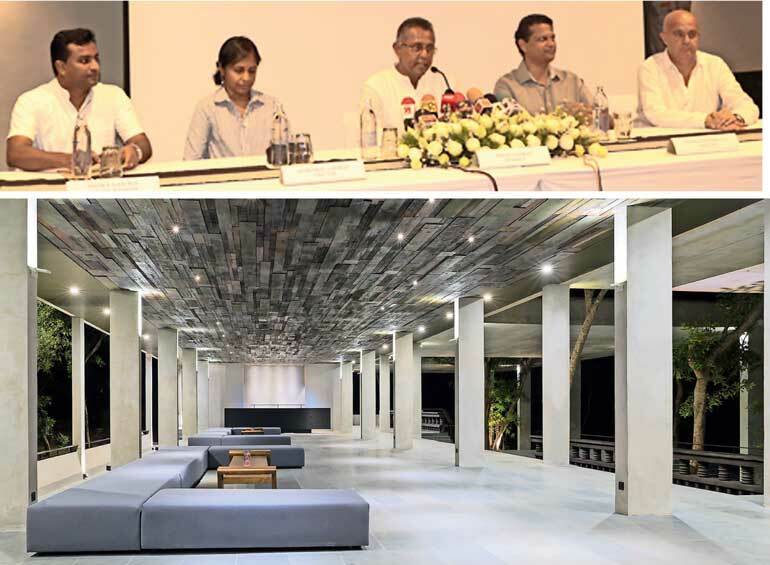 The all new Jetwing Lake is 5 km away from the Dambulla town and is tucked away amidst a setting of foliage sheltering the stylishly designed resort. This Jetwing Symphony property is in close proximity to many of the heritage sites and places waiting to be discovered in the vicinity. With the famous Dambulla Cave Temple five minutes away and the world renowned Sigiriya Rock Fortress just 20 minutes away, there’s much to explore here from treks and hikes to the mysterious rock caves, trips to the Minneriya and Wasgamuwa National Parks and other interests in the bio-diverse environs. Jetwing Lake overlooks the Siyambalaweva water tank with a backdrop of an endless chain of mountains touching the skies that are ever-changing in colour. Capture the best views of the sky changing its colour during sundown varying from a royal orange to blush pink fading into a deep purple. With the star studded sky gleaming down on you, the best moments of nature can be witnessed from the countless open spaces at the property. In keeping to the nature of the resort, the rooms feature private and spacious balconies allowing you to experience the scenery of Dambulla in solitude. The 94 rooms painted in warm earthy colours add to the surrounding and are equipped with luxury shower areas overlooking the panorama, sitting area, satellite TVs, Wi-Fi, air-conditioning and most importantly king-size beds you can ease into at the end of the day. Jetwing Lake promises the ultimate dining experiences serving an array of delectable local and international fare. With every dish handed out you will find yourself basking in the exciting flavours freshly prepared from the local produce used by the renowned chef. The main restaurant opens out to the large garden area allowing you to indulge in your meals in view of the lake with natural ventilation sweeping in. For those in search of authentic south East Asian cuisine, the property also homes a Chinese restaurant catering to the likings of an intensely flavourful palate. With its unique build, the open bar extending to the tree tops allows you to sink in the greenery around whilst unwinding in the peaceful and calm ambiance. Please your senses to the best meals and views when you dine in at the restaurants or at the comfort of your private balcony in the room or even at the gardens by the lake, Jetwing Lake will make your every experience worthwhile. Jetwing echoes luxury living across its hotels, this remains the same for Jetwing Lake with the addition of a fully-fledged spa, gym and pool at your disposal. Pamper yourself to a therapeutic treatment designed by our very own experienced ayurvedic doctor. At the spa, you can find your balance by undergoing treatments ranging from massages, oil treatments, herbal wraps and many more. Keep in line with your fitness routine at the fully equipped gym as you spend your days at utmost relaxation. Feel more at ease when you dive into the 71m infinity pool facing the breathtaking views of the vicinity making this your ultimate wind down therapy. Jetwing gives precedence to the natural surroundings and as a result Jetwing Lake through its sustainable strategy houses a solar power park, caters to its air-conditioning needs through a Vapour Absorption Chiller, creates energy from their very own biomass boiler, treats wastewater onsite through an Effluent Treatment Plant, uses a composting plant, a biogas digester and even uses produce grown in their very own gardens. Focusing on conservation, two acres of underdeveloped forest was selected for species enrichment and planted with native species. In time this area is expected to grow into a diverse and flora-rich forest. The Jetwing Youth Development Program saw to the recruitment of 24 associates to Jetwing Lake from the area by giving them a training of three months contributing to the upliftment of their lives. The second batch has enrolled 61 students by having them undergo a series of practical and theoretical teaching in the hopes of creating job opportunities for the locality. To book your stay at Jetwing Lake call on 011 4 709 400, e-mail on [email protected]winghotels.com or log on to their website on www.jetwinghotels.com.